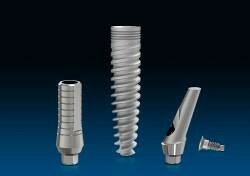 YOU CAN PLACE DENTAL IMPLANTS! Don’t Procrastinate any longer………This is a great opportunity for you to learn how to Treatment Plan placement of Implants and Restorative with CBCT scans and Surgical guides, place Implants, learn Bone Grafting techniques, PRP/PRF growth factors, Impressions and Restorative on Implants…..under the one-on-one guidance of an ICOI Certified Instructor. One on one hands-on training on your patient (or a patient provided for you) with follow up to completion of the restorative phase. 6 sessions and treatment planning sessions for your patients Limited to 3 doctors: you may assist Director or do surgery as you learn. 6 sessions lecture, surgery, and treatment planning sessions for your patients. Or monthly payments of $1,495 paid one month in advance of each session.